The Cool Kids are about to drop a new mixtape titled Gone Fishing. 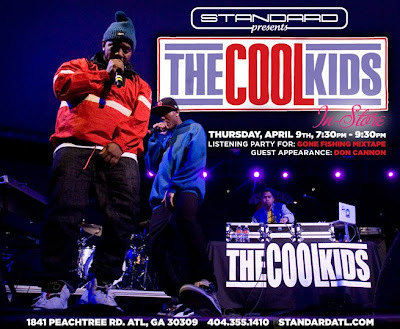 Thursday, April 9th, from 7:30 to 9:30 they will be letting ATL fans check out some songs from the project at Standard boutique. Check out the flyer above for details.